Have you been living your life in full throttle? Are you craving to break the monotony and bring a dynamic change in your life that will help you achieve a sense of calm and relaxation? Well, then yoga is the best medicine for you. The ancient art of spiritual science can help you achieve physical, mental, and spiritual growth and find peace within. Among the many types of yoga, ashtanga yoga poses can help us realize that. Let’s learn more about ashtanga yoga and various ashtanga yoga asanas. There are many different styles of yoga to explore such as Hatha yoga, vinyasa yoga, power yoga, ashtanga yoga, and bikram yoga. People often find it difficult to determine which one is the best one for them. Most of the styles of yoga are based upon basic yoga poses. However, the experience and the results may vary. For anyone who thinks basic yoga poses are too gentle for them, they want to try ashtanga yoga. It is a powerful practice that will challenge your body to new limits. It will get your heart racing, make your body sweat, and give you lean and toned body. Ashtanga yoga is a relatively new style of yoga practice that is also referred to as Ashtanga Vinyasa Yoga. It is said to be a modern version of the classic Indian Yoga. Meaning of Ashtanga yoga can be derived from the Sanskrit word “ashtanga,” which means “eight limbs.” It is said to be a representation of the guidelines that were laid down in the Yoga Sutras of Patanjali to achieve the complete state of self-realization. Eight limbs of yoga are, Yama, niyama, asana, pranayama, pratyahara, dharana, Dhyana, and samadhi. Ashtanga yoga is a dynamic style of yoga that is physically demanding and challenging. Practitioners must maintain a constant flow of movements that create a coordinated link between breathing and movements of the body. It produces internal heat that purifies and relaxes us completely. In general, the various ashtanga yoga poses are incredibly amazing to build a stronger core and tone the body. The modern-age ashtanga yoga was developed by K.Pattabhi Jois in the early 20th century. Jois taught and researched about the yoga style in Mysore where he opened Ashtanga Yoga Research Institute in 1948. Unlike most of the other types of yoga, this form of yogic practice follows a predefined sequence of asanas. This is what makes it different from most of the other styles of yoga. According to Jois, daily practice of ashtanga yoga is the only way to strengthen the body and control the mind. It is true, Ashtanga yoga is tough and many people don’t opt for it because they are intimidated. However, regular practice results in great progress and positive changes in mind and body. It is for anyone who wants to challenge their mind and body and wants a structured way to do so. There are various principles of Ashtanga yoga that practitioners apply in their practice to manifest the complete effect. Set Sequences and series: Ashtanga yoga must be performed in a set sequence as presented in its six series: Primary (1), intermediate (2) and advanced (3-6). These series include various asanas that one needs to master before progressing to the other. Primary series is also called Yoga Chikitsa or Yoga for health and therapy. It aims to improve health. Intermediate series is called Nadi Shodhana or the nerve purifier. It aims to strengthen the nervous system. Advanced series is called Sthira Bhaga or Centre of strength. These must be performed only after mastering the first two. Practitioners who successfully achieve control on their mind and body, practice 3rd to 6th series. The teacher must guide the student through each asana and decide whether the student is ready to learn the next asana or not. Breathing: Breathing is one of the key elements of Ashtanga yoga practice. As per the theory, breathing must be sound, steady and even as we inhale and exhale. Every asana must be held for 5 to 25 breaths. Vinyasa: This principle demands perfect alignment of breaths with movements in ashtanga yoga asanas. For each movement, there is one breath count. Without the proper vinyasa, asanas will not show results. This is to achieve control over the mind. Drishti: It is the ability to concentrate on a particular gaze point during ashtanga yoga training. Bandhas: This means an energy lock. There are three types: Mula Bandha, Uddiyana Bandha, and Jalandhara Bandha. Practice must apply bandha in order to ensure correct breathing and zero wastage of energy. There are two types of ashtanga yoga training. The original one is Mysore style and a typical modern version is Led style, wherein the teacher leads the group and keeps the track of the vinyasas and sequences. Regular practice: Ashtanga yoga must be practiced at least 6 days a week. The days of full moon and new moon should be taken as rest days. And menstruating women are encouraged to take a rest on the first 3 days of their period. What are Ashtanga yoga Benefits? No matter how long it takes to master this art, it is encouraged to maintain consistency and never give up. Ashtanga yoga benefits in surprising ways. It enhances the flexibility of the body, helps in stress management and brings about inner peace. It enhances overall mental, physical and spiritual fitness. Thoughts become clearer and blood circulation is improved. Various sequences help in improving the health of the body and open blocked energy channels from the nervous system to the spine. With improved health, we learn the art of mental focus and breath control. Apart from this, it is an excellent cardio workout that increases your heart rate through the fluid vinyasa movements. 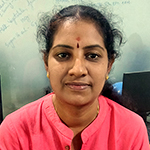 Balance and muscle coordination are enhanced through an intense set of asanas and we become more aware of our mind and body connections. Initially, many of us may not realize, but ashtanga yoga has healing powers and therapeutic benefits. Ashtanga yoga is a highly structured style of yoga. It is one of the most disciplined styles among all. It requires great perseverance and dedication. 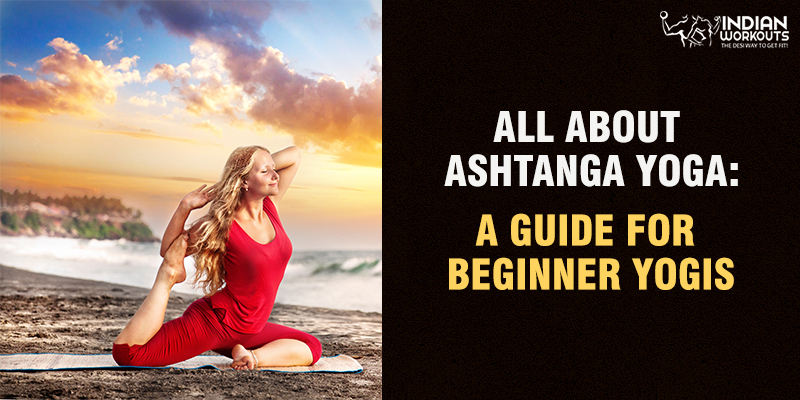 If you are a beginner, here are some tips to begin with ashtanga yoga. Don’t worry! It takes years before practitioners advance to the next level. Regular practice is encouraged. This is the only way to master ashtanga yoga sequences for beginners. There is absolutely no shortcut. Asana practice: At first, begin with practicing asanas the correct way. Focus on breathing: Sound and regulated breathing is of utmost importance. Go slow: Even experts took years to ace the first few levels, before they became the masters. Principles: Keep in mind all the principles and learn to manifest them in daily practice. Be prepared to sweat it out: Sweating is the natural outcome of the practice, be prepared to experience it like never before. Do not force the movements: Take it slow and do not expect your body to learn it all in one day. Relax and Recover: This is the most important part of the practice. It is imperative that we give time to our body to relax and recover for the next day. Tristhana: It is a reference to the point when all comes together–pose, breathing, and drishti. This is achieved with lots of practice when we can reach the meditative state even while practicing the asanas. When to practice: The best time to practice this yoga is on an empty stomach. It is suggested to start the practice between 4 to 6 am. For beginners, here are some great Ashtanga yoga poses for you to try as you begin your journey. Big Toe pose (Padangushthasana): This is one of the basic asanas that is included in ashtanga yoga routine. It is going to be one of the first few asanas you will learn about in the classes. The best part is that this asana stretches all your body muscles, from head to toe. It has a direct effect on strengthening your hamstrings and digestive system. It can relieve tension, headaches, calm down the brain and anxiety. Technique: Stand tall with your feet parallel to each other. Keep your legs completely straight as you exhale and bend forward. Try and grab your big toes with your index and middle finger as your curl forward. Make sure your neck and back are straight and hips are lifted. If you are flexible enough you can draw your head to the shins. Hold this pose for a minute, at least. Wide-Stance Forward Bend (Prasarita Padottanasana): This pose can improve your flexibility and balance by leaps and bounds. It works amazingly in toning the glutes, thighs, hamstrings and calves; and improves bone density and insulin resistance. It is great for anyone who wants to strengthen their lower body and improve control over a range of movements. Technique: Start with standing in mountain pose, with feet 3-4 feet apart. Engage thigh muscles and maintain the length of the torso. Begin to bend forward at the hips. As the torso becomes parallel to the ground, place your fingers firmly on the floor, right below the shoulders. For beginners, they can even rest the hands on the blocks. Attempt touching the crown of the head on the floor. And do not stop breathing. Triangle Pose (Trikonasana): This is one of the most important Ashtanga yoga poses to learn. It is a quintessential standing yoga pose that is also sometimes referred to as utthita trikonasana. It strengthens a wide range of muscles, from legs to the chest. It opens up hips, groins, hamstrings, calves, shoulders, spine and chest. It improves digestion, blood circulation and relieves sciatica and back pains. Technique: Stand tall with feet shoulder-width apart. The right foot should be pointing outward and the left foot should be placed at the 40-degree angle inwards. Bend towards the right side and grab the big toe with your right-hand fingers. Turn your neck towards the ceiling and raise your left hand upwards, straight. Chair Pose (Utkatasana): This ashtanga yoga pose is an intense posture that requires lots of power to practice. It strengthens the lower body as well as the core. It stretches the spine, hips and chest muscles. It enhances the balance and improves will power. Technique: Start standing tall and with feet placed together. Fully extend arms overhead and keep them parallel and inwards. Now, bend the knees slightly and bend your torso slightly forward. Hold this pose for a minute or so. It is similar to the posture of sitting on the chair. Warrior Pose I (Virabhadrasana I): This pose enhances the strength in arms, shoulders, thighs, back muscles. Technique: Stand straight on the floor. As you exhale, extend your arms to the sides and spread your feet slightly more than hip-width apart. Point the right foot outward and the left one inward. Make sure your right foot is at a 90-degree angle and left one is at 45-degree angle. Bend the right leg. Make sure your thigh is parallel to the ground and left leg is stretched behind. Lift your hands straight up and gaze upward. Warrior pose II (Virabhadrasana II): This pose is named after the fiercest of all warriors, the God Shiva. This is the second version of warrior pose that increases stamina and leaves your body energized. It strengthens legs, chest, and hips. Technique: Start in the standing position. Step your right foot forward, pointing slightly outward. Make sure the right and the left foot are in line. Now, extend your arms out, keeping them completely straight. Exhale and bend your left knee forward. Your thigh must be parallel to the ground. Keep your spine lengthened and gaze over the front fingers. Apart from these ashtanga yoga poses, try upward facing dog pose (urdhva mukha svanasana) and corpse pose (savasana). These few poses will help you learn the sequence efficiently. Remember that the savasana is the final pose where we allow our body and mind to relax. So, now that you have so much ashtanga yoga information, what are you waiting for? Begin your journey to master the complex yet most liberating form of yoga.